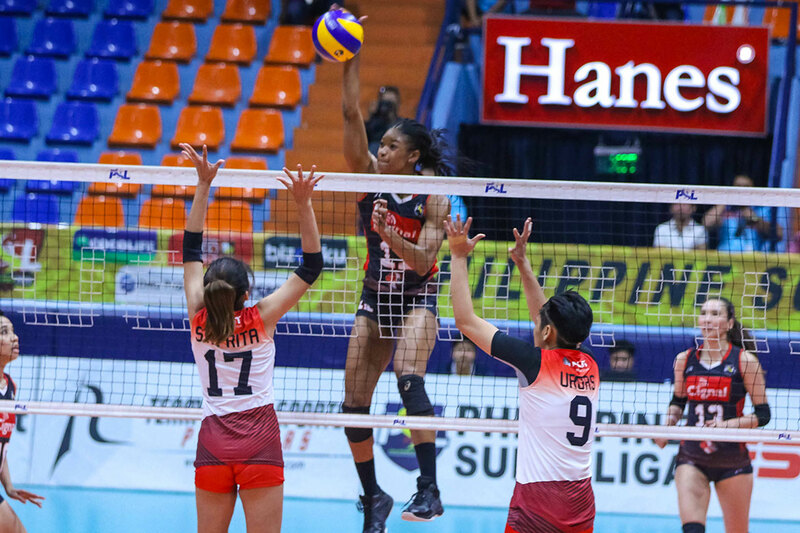 The Cignal HD Spikers stayed in tight contention for a spot in the 2019 Philippine Superliga Grand Prix top four and a twice-to-beat incentive in the quarterfinals after handling the PLDT Home Fibr Power Hitters, 25-16, 25-23, 17-25, 25-18, at the FilOil Flying V Centre. Cignal HD settled at a tie for third place with PLDT at 7-6 following the win. With one match remaining on their elimination round schedule, Cignal HD head coach Edgar Barroga expressed satisfaction with his team’s sense of urgency. “Kung naibigay namin yung panalo sa kanila, delikado na kami sa top four kaya pinag-aralan namin nang husto ‘yung laro nila para makalamang kami,” said Barroga. “Siguro, mas nakikita na ng mga players ‘yung role nila na sinasabi naming coaches sa kanila before. Talagang tanggap na nila ‘yung roles nila,” he added. Erica Wilson powered the HD Spikers with 27 points while Ana Artemeva managed 21 markers. 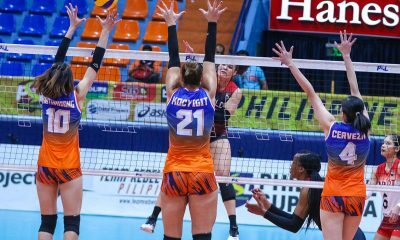 Captain Rachel Daquis added 14 points. Kendra Dahlke led the HD Spikers with 20 points, but her fellow import Grace Lazard was held to just 12 markers. Cignal HD (7-6) takes more than a week off before facing F2 Logistics (8-3) next Thursday at the FilOil Flying V Centre. PLDT (7-6) returns to action this Thursday against United Volleyball Club (5-5).